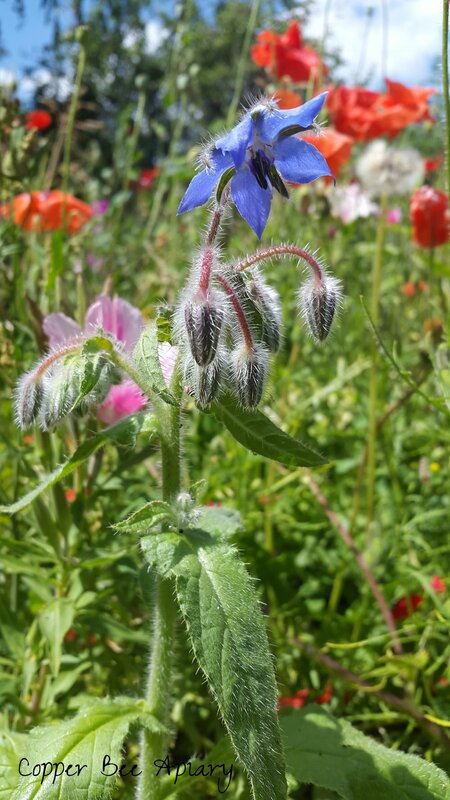 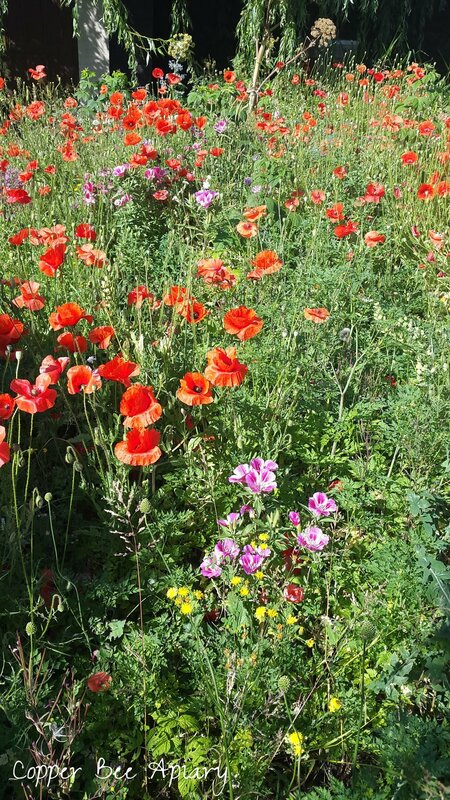 The wildflowers have grown and the back garden is now very colourful. 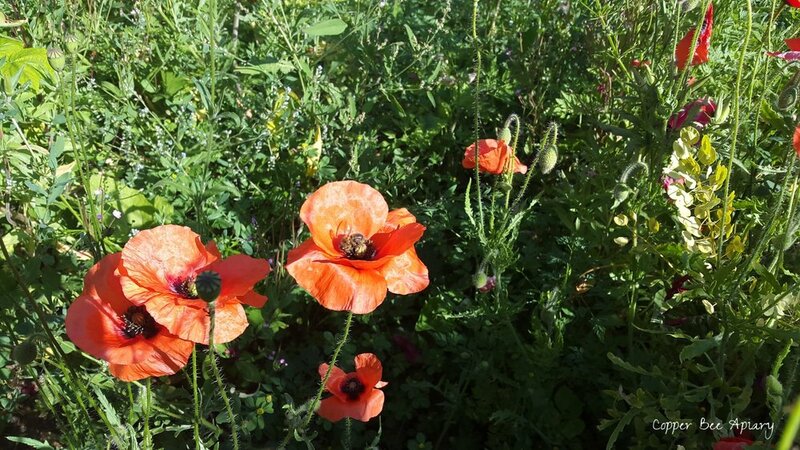 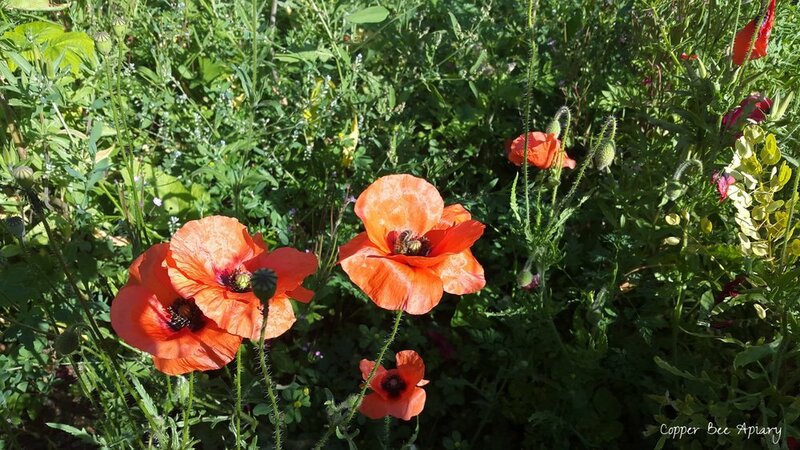 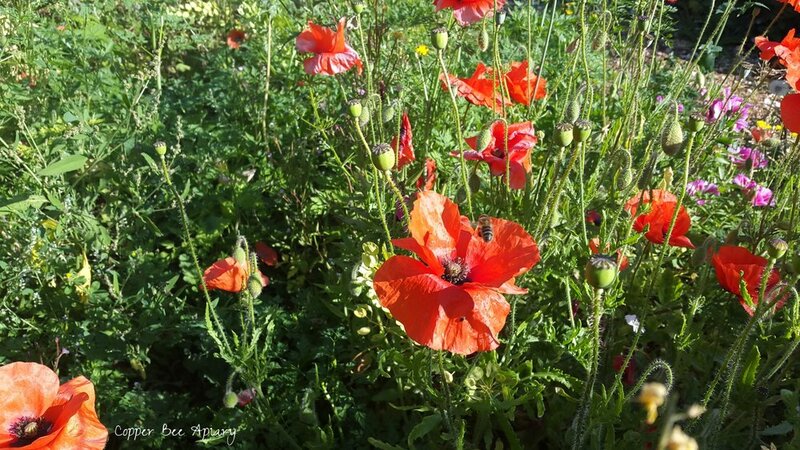 The poppies are popular with bumble bees. 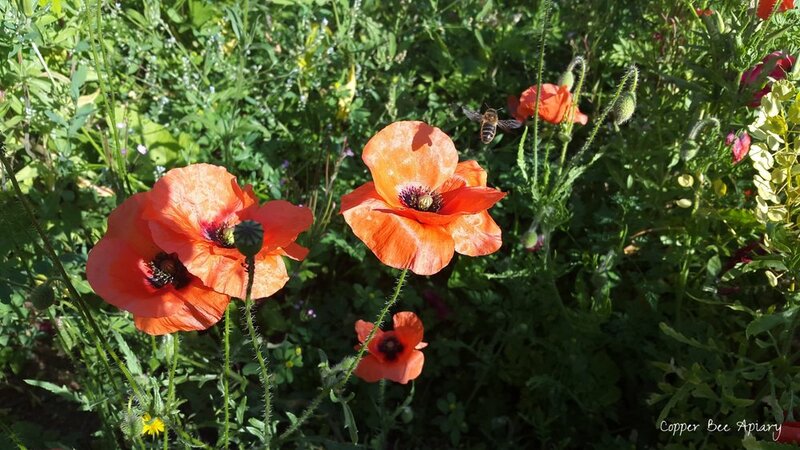 The honey bees are visiting them too and collecting black pollen.